The company cited obstacles “inherent” to the location of the factory in northern Buenos Aires as the reasons for the closure. Complaints included complex costs and logistical requirements, and the neighborhood being primarily residential. 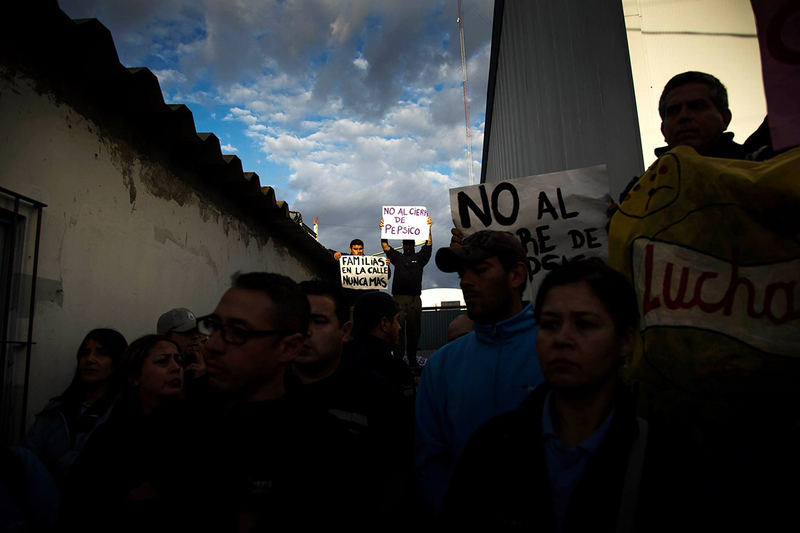 The workers, after their union leader Rodolfo Daer refused to resist the closure, voted to take over the factory and have been protesting the closure ever since. Daer is the union leader for STIA (the food industry labor union whose influence extends to PepsiCo, Kraft foods factories and many more) in Argentina. Daer is known to have strong ties to corporate interests and generally works to prevent worker dissent against corporate management instead of defending workers’ rights. 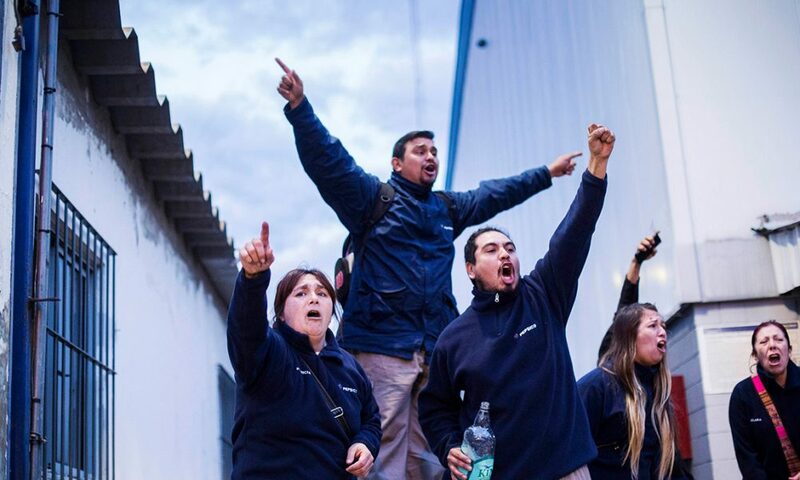 Workers view the true reasons for PepsiCo’s decision to move to be economically and politically driven, citing recent labor organizational activities as a reason for the factory to leave Buenos Aires. Indeed, the relocation of the factory to Mar del Plata would guarantee the company easier, cheaper and less protected labor, without the strength of labor organization within and without the factory in Vicente Lopez. 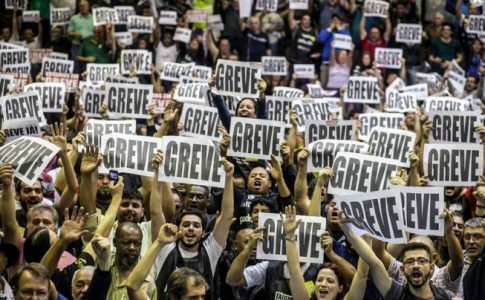 Labor organizing is considerably more extensive in Argentina than in the United States. Workers’ rights are protected not only by strong unions but also by representatives within the factory or company itself. These rank and file comisiónes internas (essentially internal committees) are elected by workers at a particular workplace in order to represent the workers in negotiations with their bosses at each factory, as well as within the union in the event of a labor dispute. Workers therefore vote in elections for the direction of their organization, which often dictates whether the union will demand improved conditions for employees or favor corporate management, positions which are represented by different groups that run for leadership positions in the union. These caucusus, or listas, have varying interests and agendas: some are closer to the government and/or businesses and some are closer to workers and workers’ rights. For a caucus like La Lista Bordó, which fights for better wages, shorter hours and increased benefits, winning an election in the union is an uphill battle. This left caucus includes socialist militants from the PTS (Party of Socialist Workers), as well as independent workers in the factory. Rodolfo Daer, leader of union bureaucrats’ slate (which has controlled the union for the past 30 years) known as the “green list,” has been accused of corruption and weakness in resisting business dominance. La Lista Bordó challenges Daer directly each election season, even winning 40% of the union vote in 2012, but the connection between STIA (the food industry labor union) and business interests through Daer’s leadership survives. In the factories, however, where the smaller quantity of votes leads to a simpler democratic process, La Lista Bordó has more opportunities to lead. After winning the last several elections at this particular PepsiCo snack factory, the workers who support La Lista Bordó feel that the factory closure is a direct violation of their organization. The move to Mar del Plata would give leverage to the corporation against workers, who have much less protection and security in Mar del Plata. 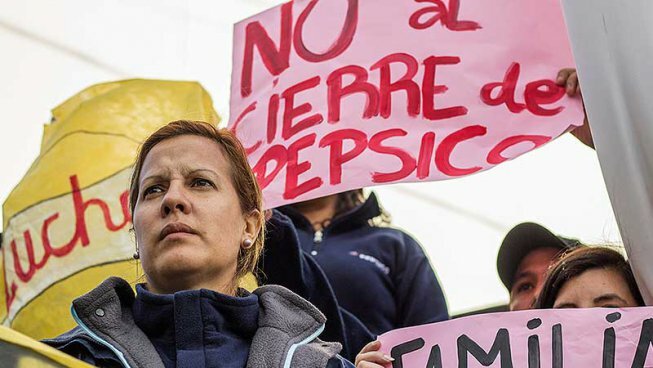 The dire situation that the PepsiCo workers now find themselves in has gotten the attention and sympathy of many people in Buenos Aires and beyond. 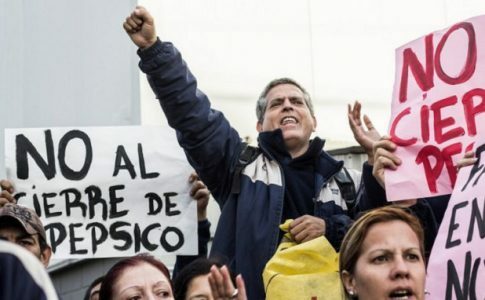 Workers from other factories as well as 200 intellectuals and educators, among others, have joined the growing movement against PepsiCo with the rallying hashtag #NoALosDespidosEnPepsico (“No to the PepsiCo Dismissals”). Representatives of the Left Front, the socialist political coalition, have joined protests outside the factory, expressing solidarity and direct support for the workers. Nathalia González Seligra, a congresswoman of the Socialist Workers’ Party, gave 30,000 pesos, the equivalent of roughly $1,830, to the group of workers as they fight to retain their positions in the factory. 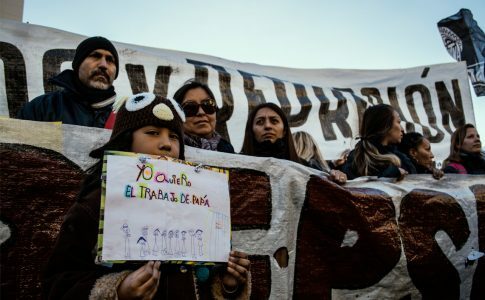 Many feel the workers at PepsiCo are fighting for more than jobs: they are fighting for the financial security and leverage of laborers around Argentina, who too often fall victim to negotiations between businesses and unions who fail to represent the true interests of workers. Owning nearly every brand of snacks one can think of, PepsiCo surely has enough money to pay their employees a living wage and protect them from closures such as this. According to La Izquierda Diario, PepsiCo CEO Indra Nooyi collected $29.8 million from her work in 2016 alone. The company’s revenue is up 2 percent from last year, making $17.2 billion, including foreign currency impact. Meanwhile poverty rates in the greater Buenos Aires area have risen from 22% at the end of President Kirchner’s term in 2015 to 35.5% in the end of April 2016, according to a study at the University of Buenos Aires(1). With the accompanying increased percentage of individuals at risk of falling below the poverty line (51.3 in the suburbs and 34.9 in the city) the abandonment of factory workers by a steady employer such as PepsiCo is particularly troubling. 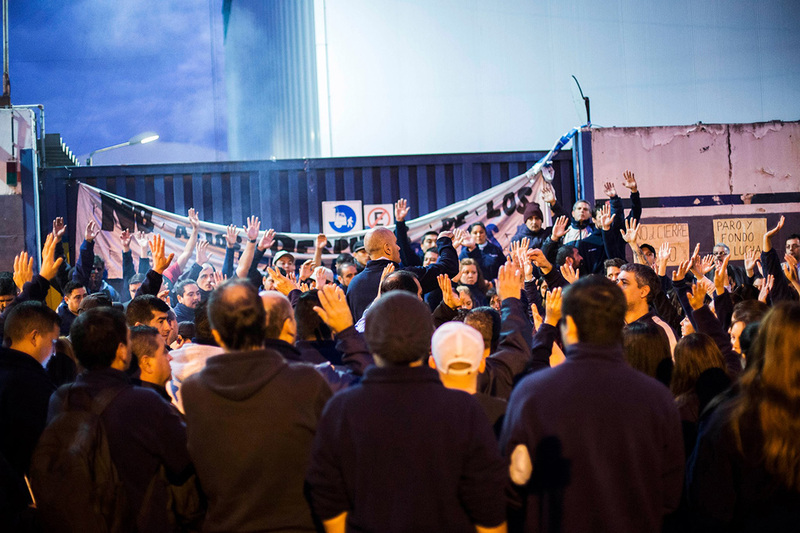 The struggle of 691 workers against a factory closure in Vicente Lopez, Buenos Aires, may seem insignificant to a country faced with the nefarious agenda of one Donald J. Trump. Yet the movement holds greater implications for labor rights in general. The motion of workers to take the fate of their jobs into their own hands and out of the control of both PepsiCo and the bureaucratic union invites widespread support. 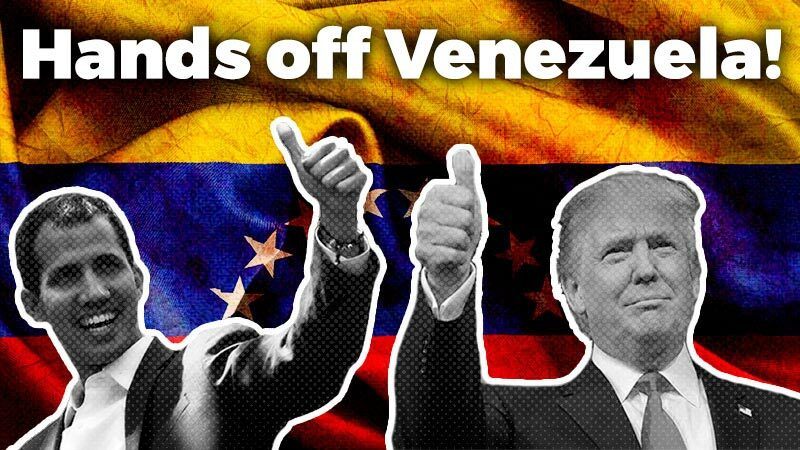 They stand united against the harmful capitalist policies of multinational corporations and those who defend them, and fight instead for the rights of workers who bring us the products we love. Join the international movement in solidarity with PepsiCo workers! 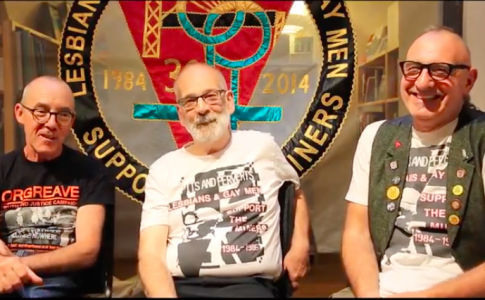 We are calling on everyone to take part in this solidarity campaign- from individuals to labor unions. 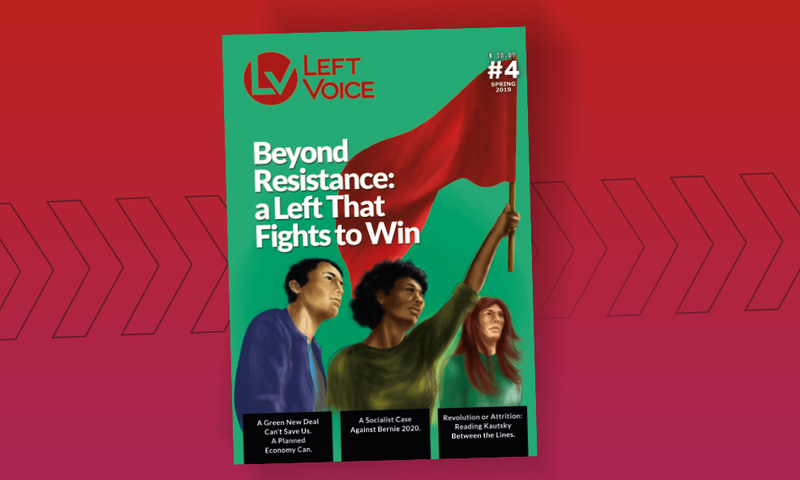 Send photos of support to contact@leftvoice.org. 1. “Para Expertos De La UBA La Pobreza Subió Más De 13 Puntos En El Gran Buenos Aires.” Politica Argentina, 12 June 2016.